Tonight is the shocking conclusion to Sufjan Stevens Theme Week! I had a lot of fun trying to pick all the songs and things this week, but I saved the best for last (in my opinion). “Chicago” by Sufjan Stevens is probably a more well known song… it’s sounds like a single, and it was recently remixed into a rap song by the popular group Chiddy Bang (check out their version “All Things Go“). But the reason I picked this song to end theme week is it’s ferocity. It’s… I can’t even explain it. I guess the best word to describe it is the “climax” of his work. It’s got such an upbeat feel to it, and the music is incredibly epic. Honestly, it’s a perfect song. I don’t want to say more to ruin it, mainly because I hope everyone hears it the same way I do. Just listen to it without any distractions, and hopefully you’ll see what I mean. I present “Chicago” by Sufjan Stevens. Once again, I present SUFJAN STEVENS THEME WEEEEEEK! Today’s song is one that some of you may have actually heard before. You see, it was in a preview for a movie that came out earlier this year (aka Babies). 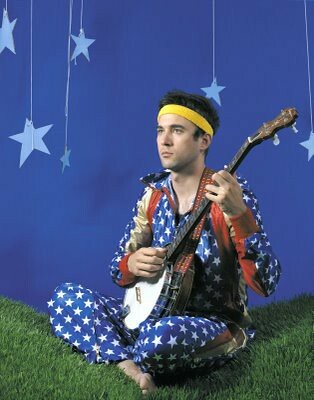 “The Perpetual Self, or ‘What Would Saul Alinsky Do?’ by Sufjan Stevens is one of the best songs out there. It’s adorable and uplifting, moving you through the song like you’re on a cloud. Also, embarrassing fact about myself, even though I never knew the song was by him (and I loved the song), I am still unable to watch the preview for that movie without tearing up. Call me crazy, but those babies! They’re just so cute! ANYWAY, this song sets itself apart from most of his music… yeah, sure, he does sing very uplifting songs (like tomorrow’s conclusion), but it’s just so HAPPY. Like I feel like I can take anything with that song on. The guitars are a little harder than he’s used to, and come to think of it, the song is still uplifting and “harder” than he normally uses. But it works with his soft vocals, and you can feel the warmth this song is emanating. Oh, and if you’re not lame like me, watch the preview for that movie right here. It is seriously too adorable for my eyes. I was having trouble trying to decide between three different songs today, so I’ve decided to post two that I really love. The first is “The Dress Looks Nice On You” off of Sufjan’s 4th album Seven Swans, which is gloriously low-key and beautiful. The song shows a strangely more risque side of the singer, who in one part of the song says “I can see you better naked, too”… I’m not too sure why he decided to take this turn, considering how this CD plays off of many Bible-themes, but I don’t question it. The lyrics are soft and the melody is playfully melancholy (especially the banjo part, which is my personal favorite). I really can’t describe it… it’s strangely appealing. Also, as a bonus, I wanted to throw on another song off of his newest CD Age of Adz… the song is “Bad Communication”, and it is very powerful. You can feel the emotion in his voice, and it makes for a strange listening experience. I love this song and it’s morose sound! Today has been an odd one… It’s been full of good and bad, smiles and tears. So I’ve been honestly confused about my feelings all day long. So when I tried to decide what song to pick for today’s post, I didn’t have any trouble picking “Casmir Pulaski Day”. This song sort of reflects good and bad all in one. 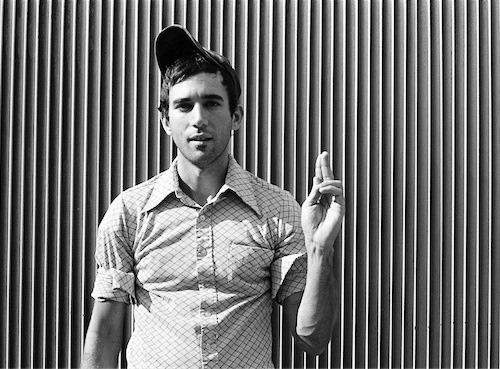 The music is simple: for the first part, a guitar lightly accompanies Sufjan’s voice. It’s beautiful and whimsical, but there is a little strange twist. While it’s music is mesmerizing, the subject is quite sad: from what I can tell, the song is about one of Sufjan’s old loves, who dies of bone cancer. So why do I pick this song for the blog? Because it is incredible. Even though it’s soft and sad, it is one of the strongest songs on the album. It’s gorgeous and it’s just…. like I can’t describe how wonderful it is. The other night I had a perfect moment… I was walking through campus in the dark, with this song on, and it was like time stood still. The smell of the pine trees, the taste of my eggnog latte still lingering, the clouds overlapping in the navy light, the moon shining as bright as it could. It was incredible. I couldn’t even believe it. When I hear this song, just the most wonderful thoughts come into my head. It’s like being in love. *EDIT: better link for the song! Today, I picked two songs off his newest CD to preview for ya today. Why two songs and not just one? Well there’s just too much of his music to keep away from you! Besides, I wanna give you guys a reason to buy his latest masterpiece Age Of Adz. It’s that good. I listened to “I Walked” first, mainly because about four people recommended it to me, and I was impressed. But what I didn’t realize was the idea that Age of Adz is on a whole different mindlevel than that of Illinois or his other albums (Greetings From Michigan or Seven Swans…). 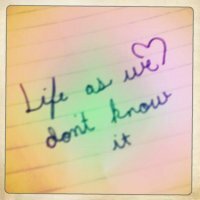 What Adz has is deepness. It has melancholy. It has an extremely creepy feel to it. And it is quite possibly one of the most intense albums I’ve ever listened to. Sufjan’s crooning voice is forced and backed by an array of strong orchestral sounds and booming electronic blips and beeps… something he is not used to. And while I was taken by surprise to hear that the adorable banjo-lover had put down the folky sound to pick up the new-age fads, I was completely drawn to it. The reason this album is on my list of best albums of the year is because it is a creatively genius album. 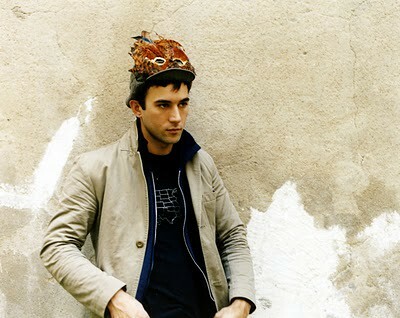 Sufjan has poured his heart and feelings out on the album, creating a sense of self-reconcilliation that he is going through. At one point (in the beautiful lyrics of “Vesuvius”) he begins to talk to himself: “Sufjan, follow the path/It leads to an article of imminent death/Sufjan, follow your heart/Follow the flame/Or fall on the floor/Sufjan, the panic inside/The murdering ghost/That you cannot ignore…” Now I’m not entirely sure if the album is his preparation of death from the illness he contracted (it involved some sort of serious nervous system virus), or if this is his mind… but all I wanted to do was give him a huge hug. “I want to be well/I want to be well/I want to be well/I want to be well…” he sings over and over in the song titled “I Want To Be Well.” Apparently he’s “NOT F***ING ARROOOUNNDD” either about this! 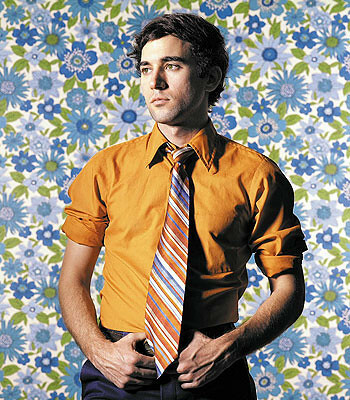 Regardless, Age of Adz is a reflection of how genius Sufjan Stevens actually is. He can go from sweet, light-hearted Illinois to the dark, metropolis-like* Age of Adz and pull it off! I feel like I’m watching a moving picture of his mind when I listen to each song, which is difficult to comprehend with all the sub-par music out there these days. Anyways. The first song I want to feature today is “I Walked.” It’s the closest thing to what would be a “single” off this album, but it’s solid nonetheless. Finally, as a bonus, I wanted to throw on my favorite song off the whole album (it’s actually tied with another of his songs that I want to feature on a later date). It’s called “Too Much”, and while it’s a little strange and overtly techno, it’s still a fantastic song. Today is the last day of Paste Mag video week, and I’d love to end it on a beautiful note with Rocky Votolato’s “White Daisy Passing”. I can’t say much about this song, but just listen to it because it is gorgeous. With two more days left in Paste mag video week, I bring you “Ultimatum” by John Roderick. As a living resident of Seattle, John Roderick is one of the legendary alt-rock icons of the Pacific Northwest. He is founder and lead singer of The Long Winters, and writes articles, stories, blogs, and tweets in his spare time (as well as visits with his friends and helps out his fellow musician buddies). He is incredibly nice and an interesting person. I’ve had the great fortune to meet him and do an interview, which I will be posting at a sooner-but-later date on this blog!! If you’re a fan of Death Cab For Cutie or The Decemberists, check out the Long Winters and John Roderick! Anyway, this song is absolutely gorgeous. The words and tune fit together in perfect harmony, and the fact that this version is live just blows my mind! I hope that someday somebody sings this song to me!